SpaceX achieved another milestone on Friday when it conducted a Static Fire test on the Falcon 9 first stage that recently launched and returned during its role with the OG-2 satellite mission. 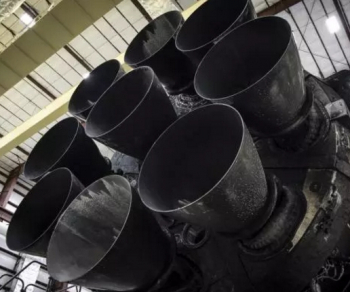 While the successful return of the first stage was a huge technical achievement, the goal of reusing returned stages was put to the test during the Friday ignition of its nine Merlin 1D engines. 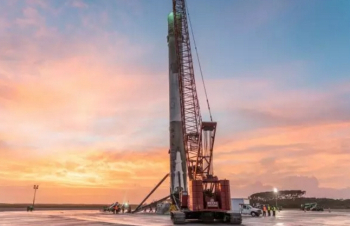 This Falcon 9 first stage has become a trailblazer for SpaceX’s aspirations relating to reusability. Understandably, SpaceX’s Elon Musk has said the stage will go on display as an exhibit once it has concluded its test goals. For future Falcon 9 first stages, the goal is to reward their successful returns with another launch. That’s what SpaceX is building towards, the launch, recovery and reuse of the Falcon 9 first stage. When that milestone occurs, Mr. Musk will have realized a major part of an ambition he first mentioned in 2009. Those plans evolved into real life testing, through a series of scaled tests at the company’s test site in McGregor, Texas as well as the initial in-flight tests during the CASSIOPE and Thaicom-6 satellite launches. All of these tests allowed SpaceX to refine their approach toward an effort to successfully land the first stage of the Falcon 9 on a floating barge in the middle of the Atlantic Ocean. The approach was further refined, from the small control thrusters through to the grid fins – increasing stability. 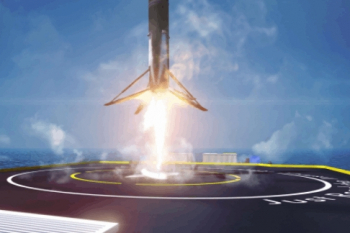 The opening attempts to land on the ASDS were “close, but no cigar” – as Mr. Musk put it for one of the close calls. Despite the loss of the Falcon 9 that was attempting to loft the CRS-7 Dragon to the ISS, SpaceX refused to place its reusability plans on hold and took the decision to aim for the first-ever land return, during its Return To Flight mission last month. The result was a complete success, as the primary mission of the rocket saw its Orbcomm passengers safely deployed, while the first stage nailed its historic landing on Landing Zone 1. The stage was removed from the landing pad and rolled to the new HIF at SpaceX’s 39A complex at the Kennedy Space Center (KSC). Engineers conducted an extensive check of the stage’s components and deemed it to be in a very good shape – although some repairs were carried out inside the HIF. Those repairs were likely to be minor, as just days later the plan to take the stage out for a Static Fire test were revealed. It was initially understood that the stage was to be rolled up the famous 39A ramp on the new Transporter Erector that had itself undergone a number of test rollouts recently. Such an event would have been another milestone, both for SpaceX – as it prepares to conduct launches of the Falcon 9 and Falcon Heavy rockets from the pad, but also for the pad itself. The last time the pad was used to load propellants on a vehicle was during the final Shuttle mission with Atlantis ahead of her STS-135 mission. 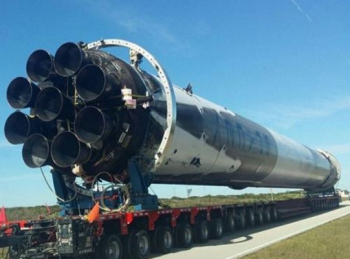 However, a decision was made to return the stage to SLC-40 at Cape Canaveral. 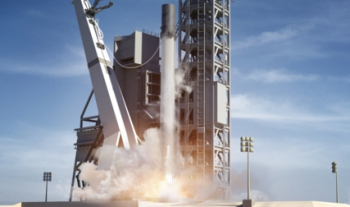 No official reason was provided as to the change of plan, although sources believe SpaceX wanted to utilize the opportunity to continue testing and procedure development of the LOX super cooling equipment at SLC-40, while gaining additional cryo cycle data. The first attempt was conducted on Thursday, which ended with a scrub due to an issue on the ground side, as opposed to an issue with the stage itself. Friday’s attempt occurred in the evening, around 8pm Eastern – once poor weather on the Space Coast had cleared. The successful ignition – with the burn lasting just under two seconds – was confirmed by SpaceX’s Hans Koenigsmann at the Jason-3 mission press briefing, prior to Mr. Musk adding some further information on Twitter. Mr. Koenigsmann also added that the next recovery attempt will take place – as expected – on the ASDS located out in the Pacific. He also added that live video will be attempted, although connection issues may prevent a good feed. The Jason-3 satellite will be launching atop the final Falcon 9 v1.1 rocket from Vandenberg Air Force Base on Sunday. A full launch preview will be published at the weekend.